At Commercial Hardware in Las Vegas, NV, we stock all the general hardware you need to keep your business running. From industrial fasteners to professional abrasives, we have it all. Dont waste time searching for a specific tool or part. Find what you need today by visiting our one-stop shop. We have the uncommon and hard-to-find items youre looking for. Commercial Hardware has served the Las Vegas, NV, area since 1904. In the past 114 years, weve built a reputation for friendly service and exceptional product knowledge. We know what we sell and can tell you about our products. 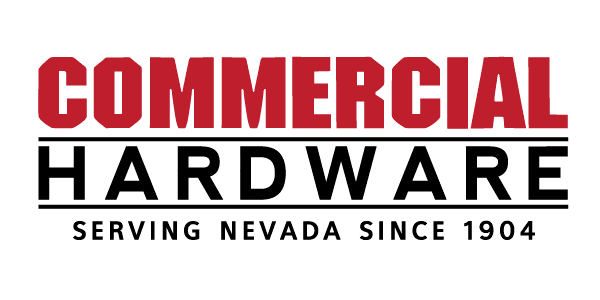 At Commercial Hardware, youll also find competitive prices for top-quality hardware. Our goal is to provide customers with quality products and superior customer service. We put our customers first and are dedicated to meeting their specific needs. Whether youre looking for a specific paint color or you want to know which type of professional abrasives will work best for your purposes, our friendly sales staff is ready to assist you. In addition to our in-store sales team, we also have an outside sales team. Our outside sales staff will travel to your place of business if you request it. Instead of having to make time to visit our physical shop, you can simply order the hardware you need from one of our knowledgeable sales representatives. Have a question about the hardware or other products we offer? Call us at (702) 736-0007, or send us a message via our contact form. We respond promptly to inquiries and are always happy to address any questions. Stop by our shop on 3725 West Russell Road in Las Vegas, NV, to browse our selection. We are open Monday through Friday from 7 a.m. to 5 p.m.